A wedding in Lyndhurst NewJersey with Bride's veil covering her face. 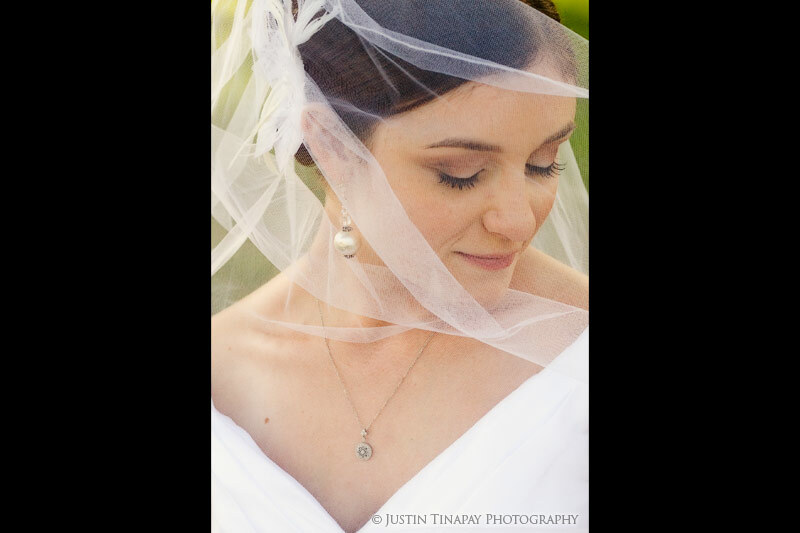 The Bride wore a beautiful headpiece and pearl earrings. Just wanted to write to you and thank you so much for your spectacular services on our September 20th Wedding day. The pictures are more than beautiful - they are works of art! I couldn't think of a better way to remember our most special day. The moments that you captured will be in our hearts and memories forever. THANK YOU!